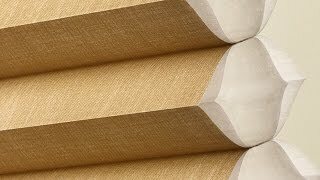 Visit Carpet One Floor & Home in La Grande, Enterprise, and Baker City to learn about Hunter Douglas window treatments. Carpet One Floor & Home is an authorized Hunter Douglas retailer, so we offer the full selection of quality window treatments. Hunter Douglas window treatments are super-stylish and durable, and they also feature special product performance technologies you won’t find anywhere else. Be sure to visit us in La Grande, Enterprise, or Baker City. 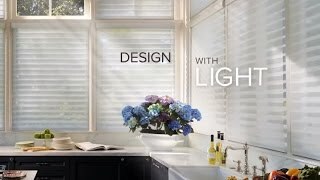 Hunter Douglas offers popular window treatment options such as blinds and shades. Blinds: Blinds continue to be one of the first choices in homes because they can control light and maintain privacy in any setting. 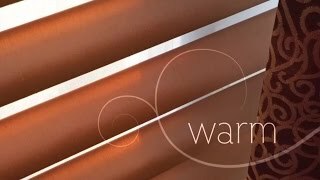 Hunter Douglas offers wood blinds as part of its Parkland collection. These blinds are made from real wood, so they can add wood’s natural style and character to your home. Hunter Douglas also has the EverWood collection, which consists of faux wood blind. Faux wood blinds look like real wood blinds, but they have a composite construction for superior durability and easy maintenance. 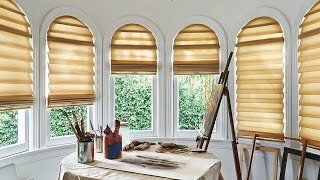 Honeycomb shades: Honeycomb shades are relatively new compared to blinds, but they are quickly becoming a popular choice for homeowners. These shades have a three-dimensional, honeycomb-like construction that can actually trap air. This is important because it helps maintain indoor room temperatures. So, honeycomb shades can actually help lower energy costs. Roller shades: Like blinds, roller shades are perfect for those who want to control light in a room. But, because roller shades do not have slats, they can totally block light and maintain complete privacy. Hunter Douglas offers roller shades that have stylish fabric constructions. Duette honeycomb shades are stylish, and they have a special construction that can help maintain indoor temperatures and lower heating and cooling costs. Luminette privacy sheers are perfect for large windows and sliding doors, and they are pretty similar to drapes. Pirouette shadings, unlike Silhouette, have a rather soft construction, so we recommend them for living rooms and family rooms. 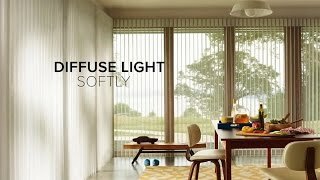 Silhouette shadings can help regulate sunlight in any room, and they are stylish enough for almost every home setting. Vignette Roman shades seem to combine blinds with shades, as they can totally block sunlight while adding depth to your windows.